At the very beginning of this video, before Donald Trump says, "Let Obamacare fail" - the President prefaces by saying, "We've had a lot of victories - but we haven't had a victory on healthcare - ahhh, we're disappointed. 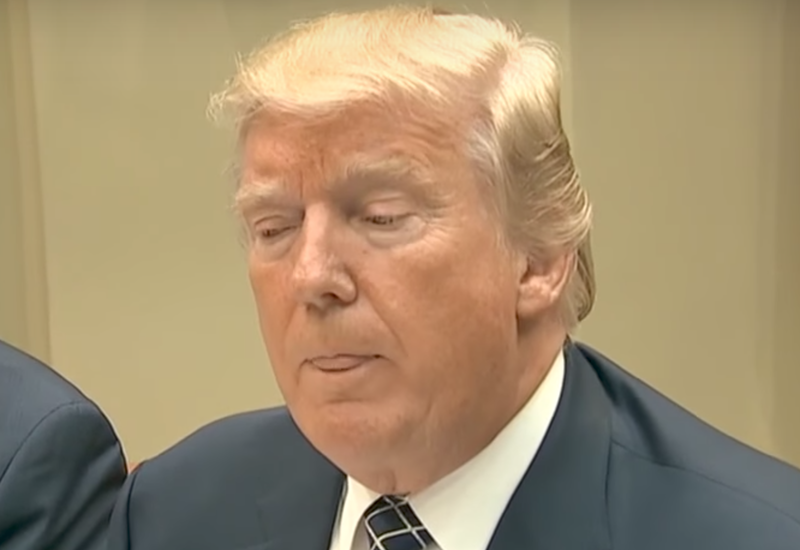 I am very disappointed ..."
Just after he says, "but we haven't had a victory on healthcare", President Trump displays a Loose Tongue Jut (during 0:03). A loose tongue jut is a nonverbal signal of the thought-emotions of: "I've been bad" or "I've been caught" (Navarro). Take care to not confuse this with a "Tight Tongue Jut". Another useful way to think of a Loose Tongue Jut - is that it's a nonverbal manifestation of the emotional dissonance being felt between the tensions of what a person wanted to happen vs. what actually did happen. Summary: President Trump's Loose Tongue Jut in this context tells us that he believes the failure of the US Senate to pass their version of the "Repeal and Replace Obamacare" (Healthcare Bill) is a quite significant. In particular, Trump feels that he shares some fault for this political failure.